As summer hits it peak, many people head outside. Now is the prime time for backyard barbecues, parties and relaxing. 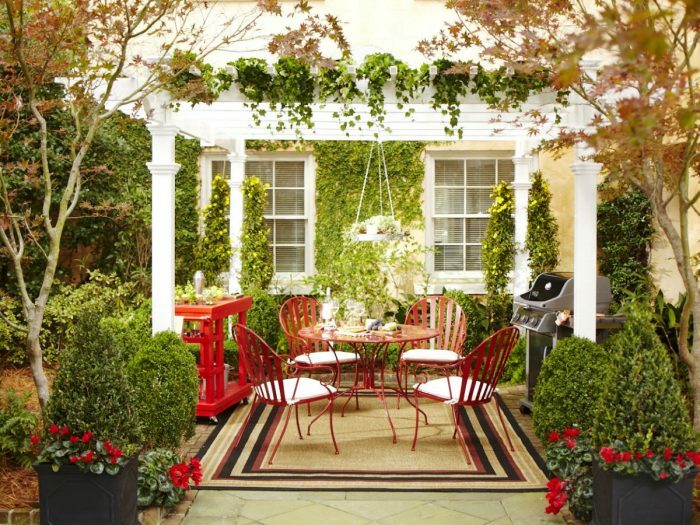 If your patio is not up to par for entertaining or your backyard space lacks style, here are some patio ideas to make your backyard the ideal summer escape. 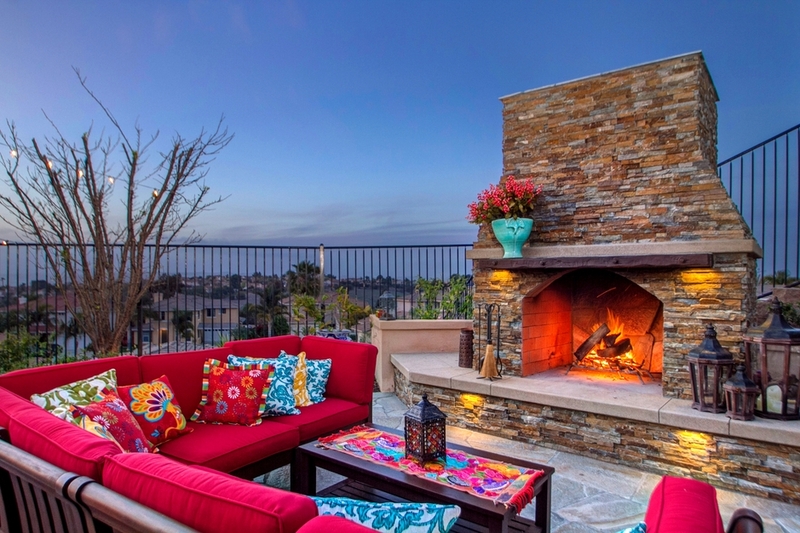 If it’s luxury you’re after, imagine yourself sitting around the fire with friends. When the heat gets to be too much, simply plunge into the pool. Well contained greenery with a few palm trees to sway in the breeze enhance the atmosphere. 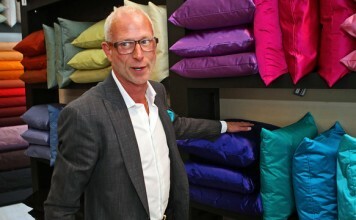 Use plenty of outdoor fabric pillows for comfort and a splash of color. 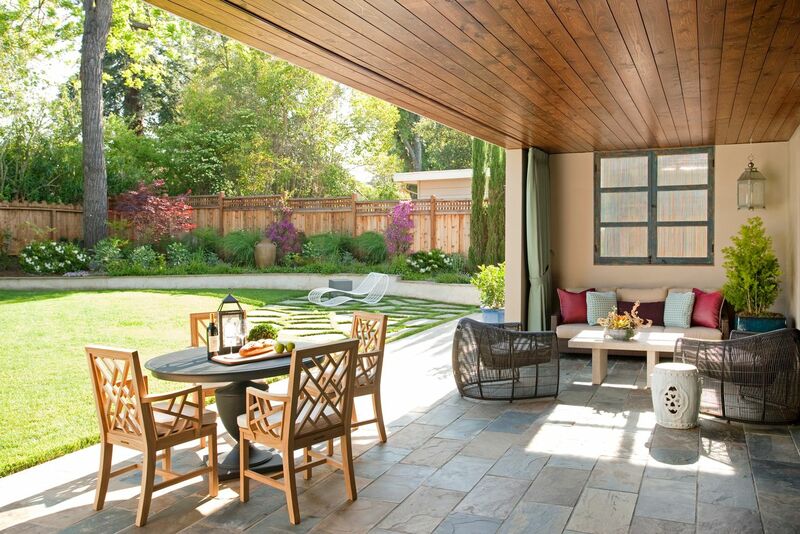 A back patio with a Mediterranean flair is a warm and inviting summer escape. Nestled within the privacy of a stone and lattice enclosure, this alcove is the perfect spot for casual al fresco dining or entertaining. 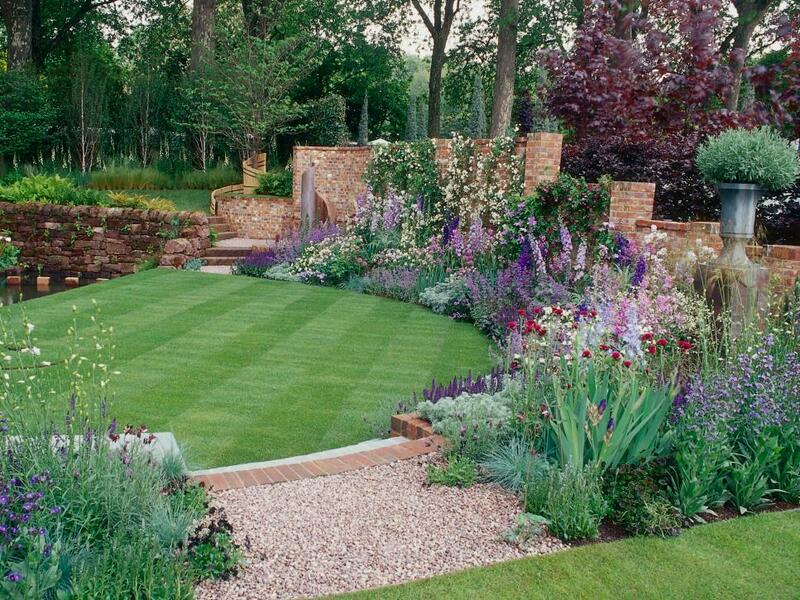 Ferns and topical blooms provide a soft and lush contrast to the stone walls. 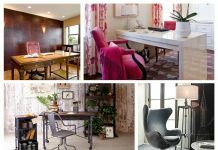 When you really want to bring vibrancy to your patio design, use bright upholstery fabrics and accent with colorful accessories. Infuse a celebratory mood into your backyard oasis with deep hues of the summer, while creating a comfortable place to enjoy the evenings by a fire. 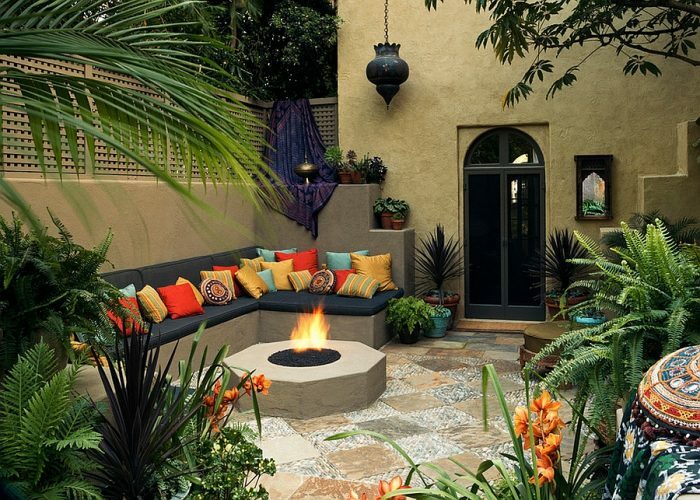 Perhaps you are limited for space or just want a cozy outdoor space. Less is more in these circumstances. A lovely curved bench is perfect for simple seating. This can be enjoyed for indoor/outdoor parties, where extra seating is needed. If lazy summer days spent swinging on the porch are more your speed, create a patio space that goes to a simpler time. 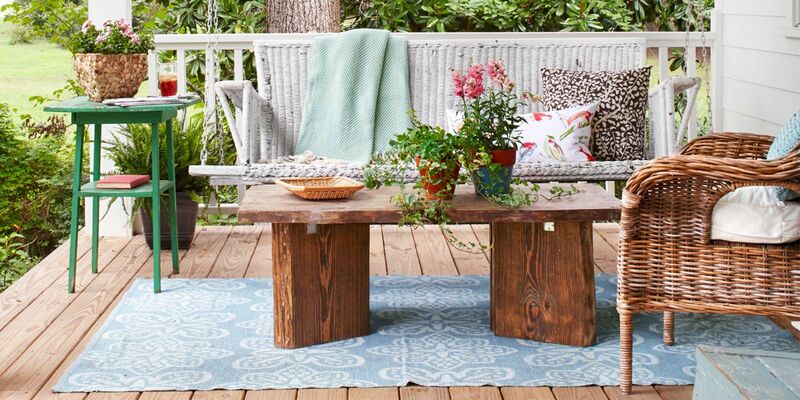 A wicker porch swing, a natural wood table and a glass of iced tea are what is needed to complete this scenario. 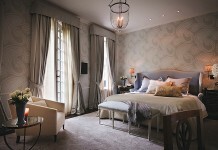 Add a few potted plants, such as geraniums, to decorate the space. A cozy dining table underneath a pergola creates a charming area to spend breakfast, a long lunch or an evening dinner. Trailing vines of ivy or wisteria along the top of the pergola provide extra shelter from the sun. Expand your home with a covered patio that extends from the back door out toward the yard. This is a private and cozy area that will be better protected from weather conditions and will provide cooling shade. 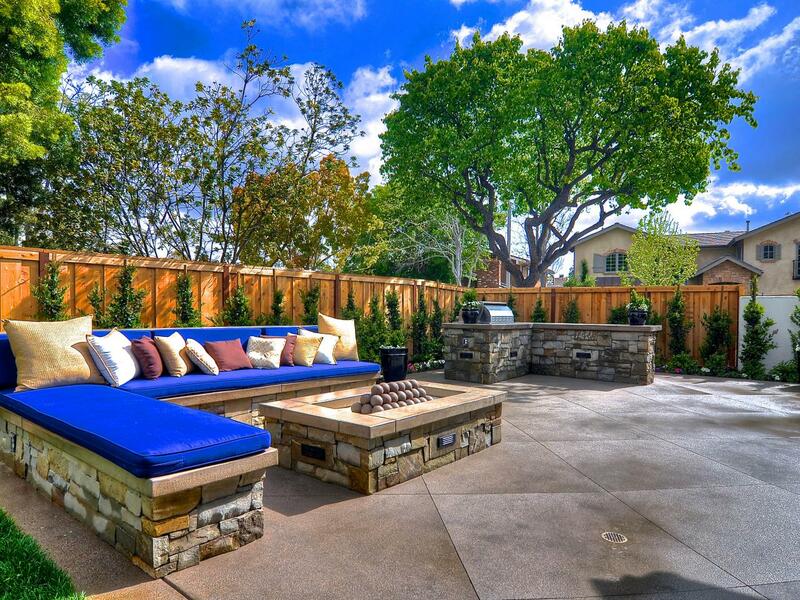 Extend your patio even further and enjoy a fire pit surrounded by cozy seating. 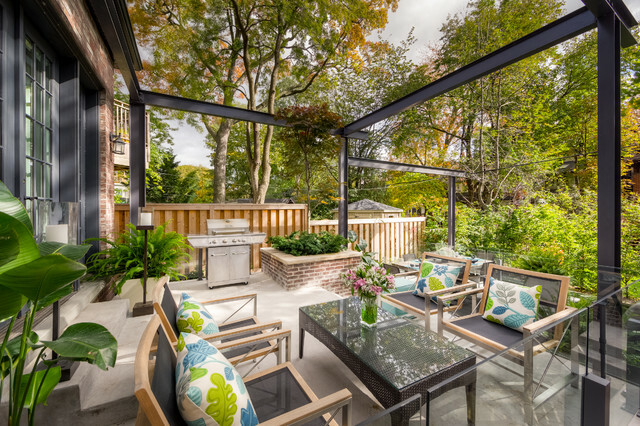 There are plenty of patio ideas to be had by simply expanding your existing home space and thinking a bit outside of the box. 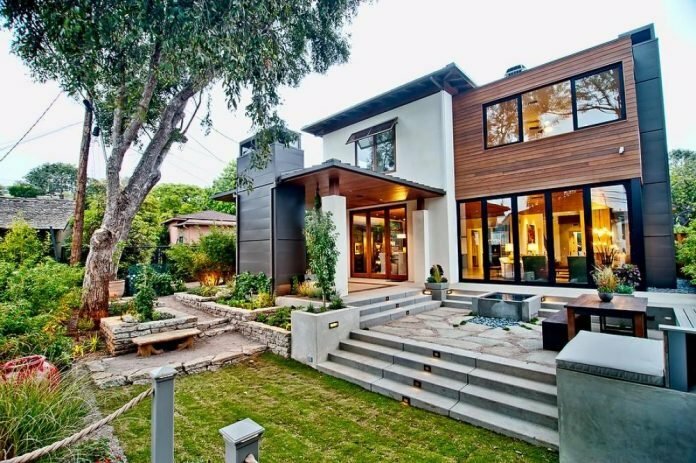 Framing in a patio with glass and steel lends itself to a modern outdoor space that is high on style and versatility. Run curtain rods along the upper beams of steel to hold outdoor panels that can be closed for privacy. Curtain panels can add color, pattern and softness to your outdoor space as well. 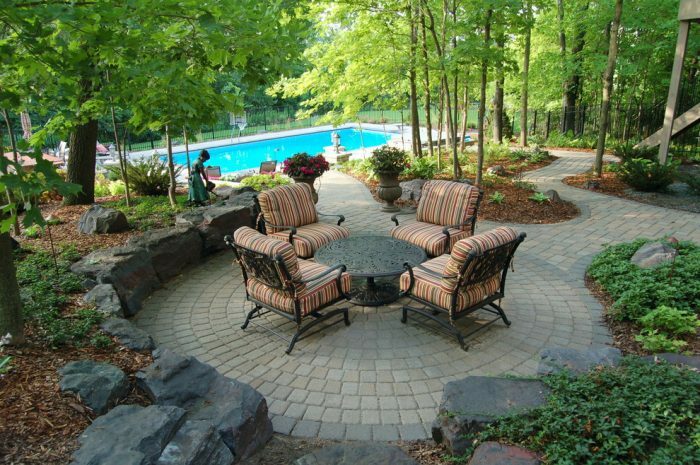 For a more natural setting, stone pavers make very appealing patios. Use large and colorful planters for seasonal flowers to add color. 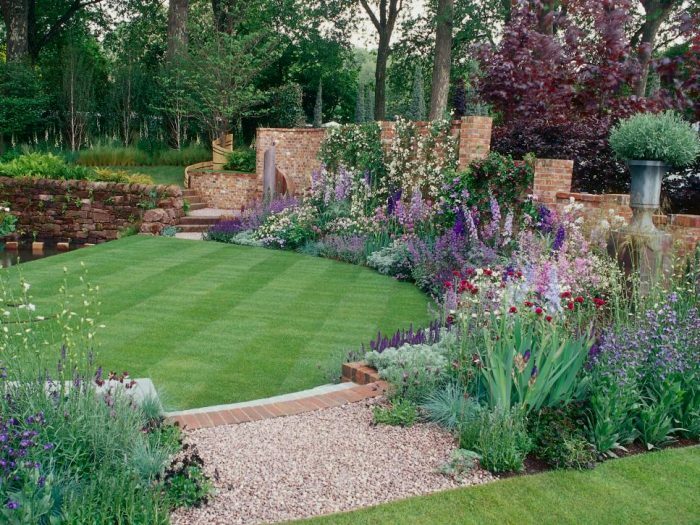 Surround the patio with greenery to provide a nicely landscaped border that blends with the environment. 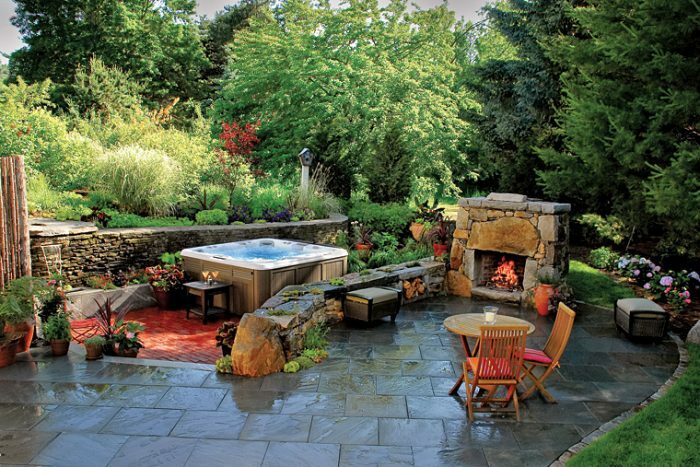 Tile can turn an ordinary patio into a work of art. 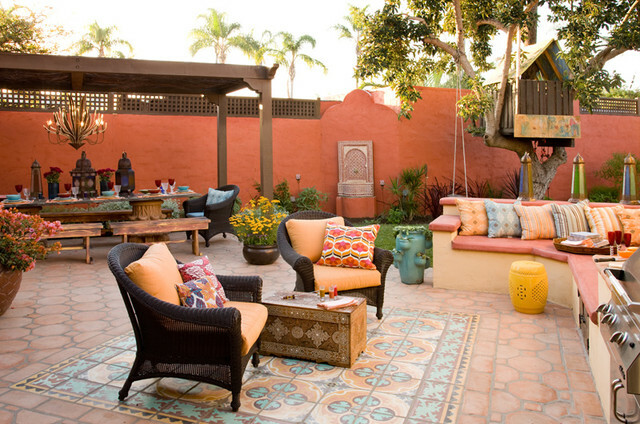 Create your own slice of outdoor paradise with terra cotta tiles. Create a centerpiece with colorful hand-painted tiles and accent this with furnishings and accessories. 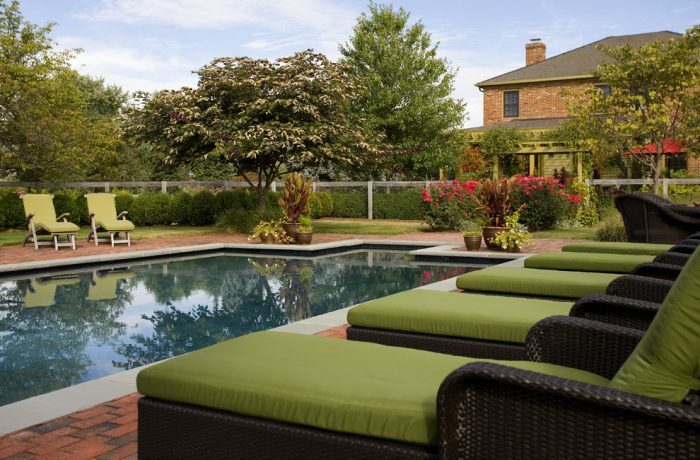 Create a patio space next to the swimming pool for a place to relax after a swim. Include a table and chairs for lunches by the pool. Enjoy comfortable loungers for lazy days sunning. 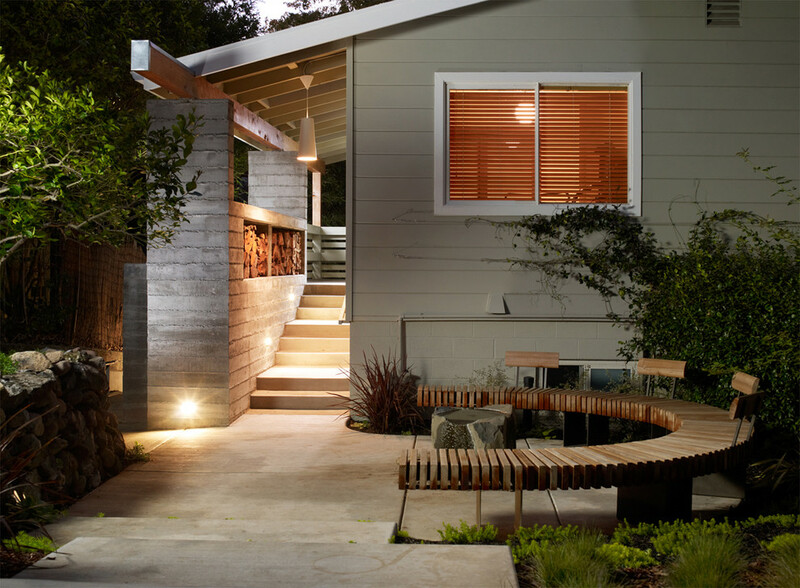 Patio ideas don’t necessarily have to involve extra materials. With a bit of landscaping, you can have a green patio. Section a piece of grass for use as a patio area that is surrounded by a beautiful flower garden. 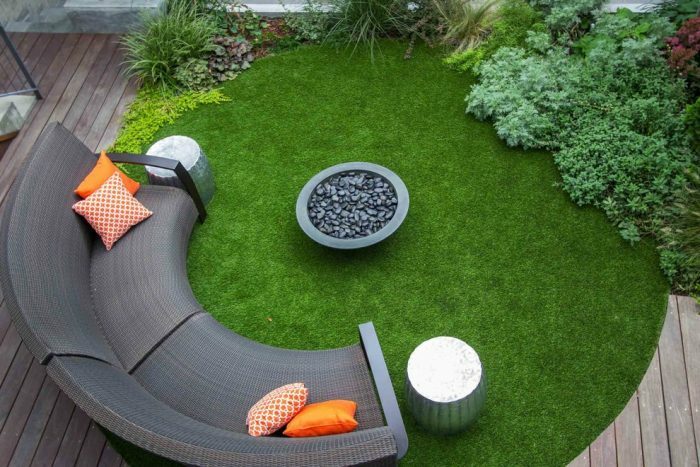 Create a small oasis of green with a rounded space that is augmented with curved seating. There are many ways to enjoy your outdoor space. Patio ideas that fit your entertaining and relaxation needs can help you gain the most use of your yard. 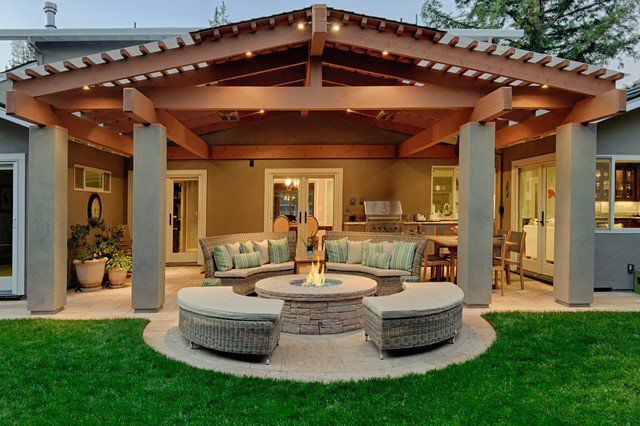 Make your backyard the ideal summer escape with the addition of a patio. 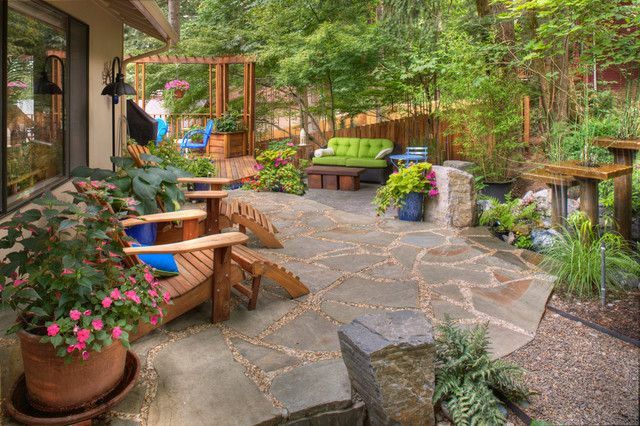 No matter your style or available space, you can create a patio that is right for you.